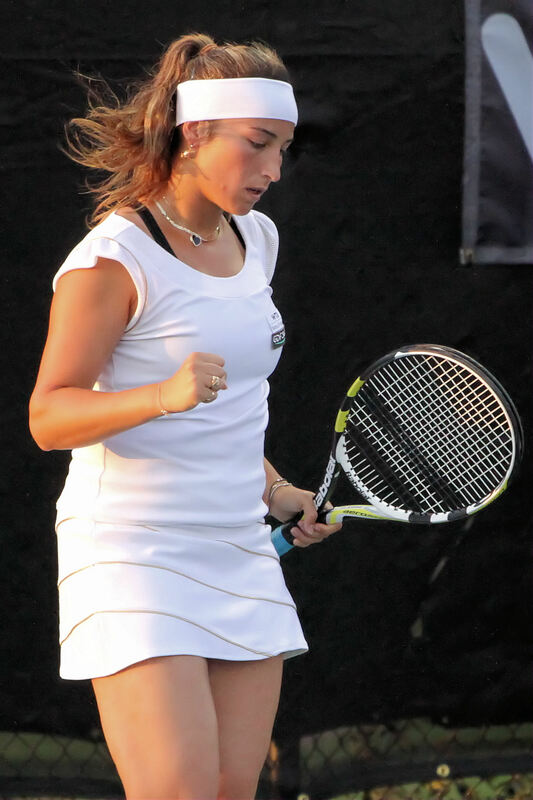 Aravane Rezaï is a professional Iranian–French tennis player. She has defeated many top players on the WTA circuit, such as Justine Henin, Venus Williams, Victoria Azarenka, Maria Sharapova, Dinara Safina, Francesca Schiavone, Caroline Wozniacki, Marion Bartoli, Flavia Pennetta, Jelena Janković and Ai Sugiyama. Her career high rank was No. 15, achieved on October 11, 2010. Rezaï competed for Iran at the Women’s Islamic Games, winning gold in 2001 and 2005. Rezaï is now based in Neuchâtel, Switzerland.